ODFA is a two-day conference hosted by March of Dimes Canada in Partnership with Harding Medical. Leading educational speakers from rehab and assistive technology will provide new and innovative ideas. Attendees will learn about advancements in the industry and the premier rehab products available. 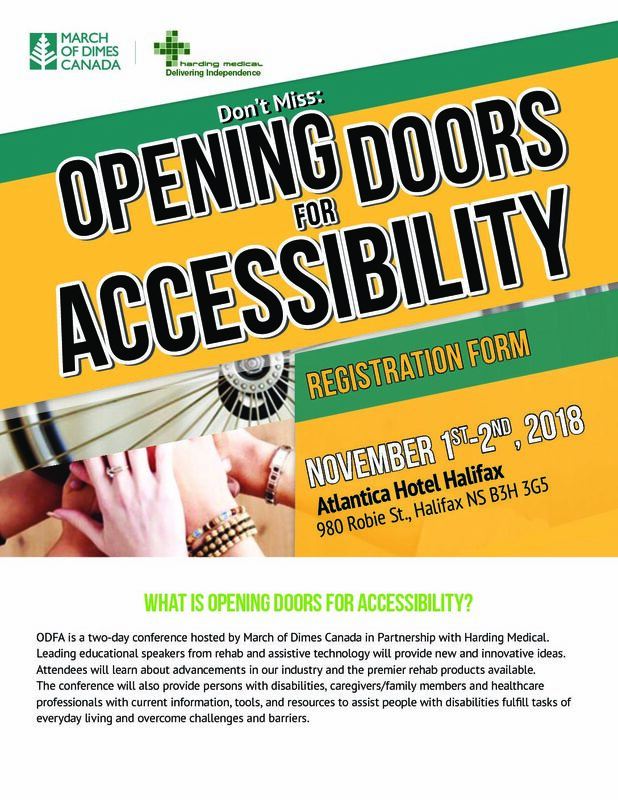 The conference will also provide persons with disabilities, caregivers/family members and healthcare professionals with current information, tools, and resources to assist people with disabilities fulfill tasks of everyday living and overcome challenges and barriers. Interested in registering? Find the form here.